Home / NETFLIX PRESENTS / Netflix Reveals Original Korean Variety Show, "Busted!" Netflix Reveals Original Korean Variety Show, "Busted!" Netflix, the world’s leading internet entertainment service, announced today that its first Netflix Original Korean variety show, Busted! I Know Who You Are, will launch on May 4, available exclusively to Netflix members globally. Busted! 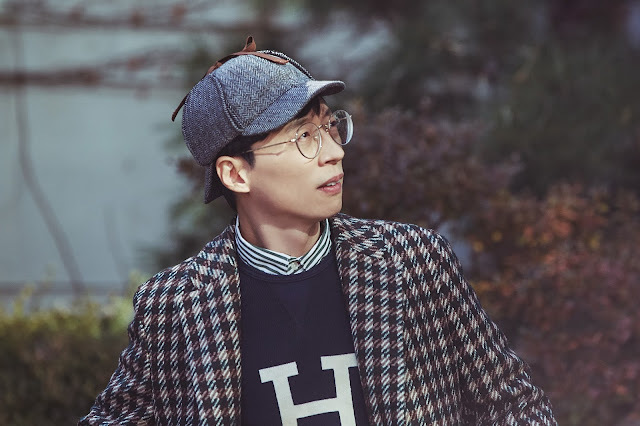 is a new type of K-variety where 7 main cast members position themselves as bumbling detectives that set out to solve a fun-filled mystery in each of the episodes. The show features an all-star K-variety cast including Yoo Jae-suk, Lee Kwang-soo, and Kim Jong-min. Ahn Jae-wook and Park Min-young took a step out of their acting roles and made their debut in the K-variety scene, while K-pop stars Sehun of Exo and Sejeong of Gugudan took the challenge of bringing the vibrant energy into the group of detectives. The show is also filled with special appearances from guest stars in each of the episodes to help complete the story. The 10-episode season will be released 2 episodes per week starting on May 4. For the new unscripted show, Netflix teamed up with producers Jang Hyuk-jae, Cho Hyo-jin, and Kim Ju-hyung of Company SangSang, who has had a successful track record in the K-variety scene. Jang, Cho, and Kim have taken part in producing popular shows including Running Man and X-Man in Korea. Busted! will be available on Netflix globally in over 190 countries starting on May 4, 2018. Netflix currently has 117 million members around the world.